Two French, two domestic: This is the selection of bubbly for tonight's festivities. Only one candidate for merriment is a vintage sparkler, (it just so happens to be the locally produced 2000 DVX by Mumm Napa Valley), the others are non-vintage. 75% of the offerings are technically from the same producer, G.H. Mumm. 100% of the wines, thankfully, have the Chardonnay grape as the smallest component. The Mumm Cordon Rouge wins this particular tasting hands down; redolent with stewed Bramley apple skins, yeast, and toasted white bread. It is simply delicious. The Perrier-Jouët was a close second. Champagne? Methode Champenoise? It doesn't matter. The final word is, just enjoy this style of wine often and in abundance. At the side of the vineyard, nestled amid the coils of a hosepipe, Vinoland's first narcissus casts it's golden smile about the dormant vines and the now almost bare oak trees. No doubt unceremoniously relocated in the summer months by an overly enthusiastic squirrel, this lone harbinger of the 2010 growing season has succeeded in reminding me that the wintry world I see through my window is merely slumbering. Like the dozing wine tucked-up in oak barrels in the cellar below where I sit, this narcissus, whilst appearing to be doing nothing in particular, has deftly awakened in me a certain joie de vivre. The imminent arrival of a new calendar year signals to me the beginning of yet another joyous cycle of life out in the vineyard. Many thanks to a little yellow flower. This morning heralded a rather sunny but frosty start to my day at a chilly 29 degrees. It was a very still morning so, perhaps taking advantage of a near perfect temperature differential, the hot air balloons were out en masse, floating high above the commuting Vinogirl below. Also present in abundance, but in this instance very definitely planted on terra firma, was the mustard flowering amongst the vines. The mustard has been blooming for about 3 weeks now already, perhaps the earliest I can ever remember, no doubt due to the little bit of rain we had in October. With barely any traffic on the Silverado Trail it was a very pleasurable drive to work on this still rather Christmassy December morn. Yuletide greetings from the Napa Valley to everyone who visits Vinsanity. Vinomaker, the Vinodogs and I wish all deserving folks a very healthy and happy New Year. How else would you decorate the downtown Napa Christmas tree, other than with purple baubles clustered to look like bunches of grapes? The house that Robert Mondavi built: no, not his namesake winery but his actual home. Previous posts have highlighted Christmas lights on commercial winery buildings, but this post is dedicated to a particular Napan's abode. On a large knoll, overlooking the Stag's Leap District AVA, is the site where the late Robert Mondavi built his home, high above the valley and vineyards he made famous world wide. A genius in marketing and promotion, Mondavi arguably made the Napa Valley the success it is today. A cheery site on my drive home from work, the roof top Christmas tree can actually be seen as a red dot from the steps of the winery where I am gainfully employed some five miles north. Thank you, to whomever, for continuing such a welcome, joyous tradition. Situated on the corner of the Oakville Crossroad and the Silverado Trail, this festive tree twinkles and sparkles night after night for countless passing motorists to enjoy. Erected by the kindly proprietor of Rudd Vineyards & Winery, this relatively small gesture of installing a Christmas tree in a high profile area, to be shared by many, goes a long way to embodying the true spirit of the season. Rudd doesn't just stop with Christmas, recently they had on display a massive carved pumpkin for Halloween and coming up soonish will be a large arrow-pierced heart, they place on the same corner annually, for our St. Valentine's Day delectation. The Christmas tree just happens to be my favourite. What was the first thing Noah did when he docked the ark? Right off the boat he planted a vineyard. Smart man. 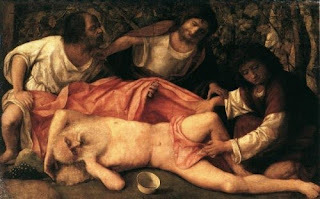 Noah then preceded to get nekkid and drank until he was, well, drunk! Can you blame him? I'd be driven to drink also: I can barely assemble an Ikea coffee table without needing a stiff glass of Cabernet sauvignon afterwards to sooth my frayed nerves. Imagine being required to build an ark to carry all those animals, just two Vinodogs are enough for me to deal with. It seems as if Noah was the Bible's first viticulturist. Good man. If I was caught in a deluge of biblical proportions, I'd hope that I would have the foresight to take grape seeds with me, better still grapevine cuttings. After all that building, herding, sailing, and planting Noah probably had earned a well deserved break. What better way to relax than to sit down and enjoy a delicious glass of wine from your own vineyard paired with, perhaps, a tasty ham sandwich. The best of the wurst. Our friends, the Wisconsin Winos, send Vinomaker and me a much appreciated gift of Usinger's meats and cheeses every Christmas. It is an annual event much anticipated by me as it heralds the approach of Christmas. Packed by the Usinger Elves, this festive carton includes such delicacies as summer sausage, beerwurst, bologna, mortadella, pastrami, and yachtwurst to name but a few (the only things missing are the cheese curds.) The entire box is a positive bachanalia of carnivorous delights. But, what to pair with such a gastronomic tour de force? Wine of course, lots of each and every varietal...washed down with beer! Hurrah! My finals are over and now I can begin to celebrate Christmas properly. It was seemingly a very long, and stressful, semester but it is finally over. Continuing on from where I left off on December 22nd last year, I am posting about the Christmas lights at Darioush. This is not my favourite style of architecture for a winery, but I have had one of their Cabernet Sauvignons and it was very pleasant and that's what counts. I do, however, like the Christmas tree at the entrance: the lights are a deeper blue when viewed with the naked eye, and it always cheers me on my way home from work. Almost one year ago to the day, this vineyard was undergoing the exact same farming operation, pre-pruning. The people at Far Niente have to be the most consistent and dedicated winegrowers I have seen in these parts. Either that or they have nothing better to do. Having polished off a bottle of their delicious 2006 Cabernet sauvignon, with Vinomaker and Thud last week, I know that is not the case. I hope I don't come across as some Far Niente groupie or stalker, it's just that their vineyard is the closest commercial vineyard to where I live, just some 200 yards from my gate, and it is hard not to notice when stuff is going on over there, seeing as I walk it's entire length daily with the Vinodogs. So a very Merry Christmas, and a very nice looking cover crop, to all the Far Niente vineyard crew. It's amazing what you can find when you go out to the mailbox. I just hope this antler belongs to the young buck that has been loitering in our creek bed and not to Dasher, Dancer, Prancer, Vixen, Comet, Cupid, Donder, or Blitzen. Or, God forbid, Rudolph! Who would deliver that magnum of Veuve Cliquot that I have on my Christmas wishlist? Brrr! It was 20.5 F when I got up a little while ago. Everywhere is white with frost, it looks very pretty. The Vinodogs are curled up in bed, but I unfortunately have to go to work. It does mean, however, that I get to see how beautiful the Valley looks cloaked in a veil of frost. Poor me! My commute to work 15 miles up through the Napa Valley is always pleasant, but today it was especially delightful. A sprinkling of snow on both ranges of hills, but more noticeably on the eastern Vaca Mountains, had succeeded in making my familiar drive all the more enjoyable. The snow may only have lingered for a few hours but during it's sojourn, high above the sleeping vines below, it delivered a quick blast of Christmassy cheer. "I think this would be a good time for a beer." So quipped Franklin D. Roosevelt upon signing a bill (ahead of the full repeal of prohibition 76 years ago today), which made 3.2% alcohol beer once again legal. Prohibition was an unmitigated failure; it was an onslaught on individual rights, was impossible to enforce, and had the unforeseen consequences of giving rise to massive, organised crime syndicates. There seemed to exist in the American psyche a propensity to demonize things that gave folk pleasure, to censor behaviour, legislate morality, and reinvent human nature. Certain people are at it still today; supposed well meaning politicians, pontificating lawyers, and activist groups who strive to deny adult Americans the right to partake in a custom as old as civilization itself...enjoying a tipple. Thank heavens for the proximity of the Napa Valley to the Archdiocese of San Francisco. If it hadn't been for the need of the Roman Catholic church to continue to have a source of sacramental wine, the wine industry in Napa would never have survived prohibition. Phew, I'm glad I got that off my chest. I'm off now to have a Anchor Steam Christmas Special Ale...5.5% alcohol, thank you very much! Christmas is coming and I am looking forward to it already. Things have slowed down considerably in these parts; the vines are shutting down, malolactic fermentation is progressing in the cellar, and post harvest Napa Valley is once more relatively quiet. It's no secret that I love Christmas. For me the season is not merely about the giving and receiving of gifts, in fact the older I get, the less I care about that particular aspect. Rather it's about spending quality time with family and friends, good old fashioned carol singing, relaxing repasts, nativity scenes, and yes, twinkling lights, sparkling tinsel and shiny baubles. There are so many things I enjoy, but one of my favourite traditions is my and Vinomaker's Christmas Eve champagne tasting, and I am already thinking about what wines to include this year. After all, I have to have something to look forward to to get me through my school finals. I'll need a good glass, or two, of bubbly afterwards in order to recover, from the ordeal of the exams, in time for Christmas. "Except the vine, there is no plant which bears a fruit of as great importance as the olive." Pliny the Elder (AD 23-79). I would agree, although I am quite partial to the humble strawberry. Vinomaker would disagree: He thinks any land planted to olive trees would be invariably better off if planted to vines. Our neighbours have formed an olive oil cooperative and today was their olive harvest. I, for one, hope it was successful and bountiful as I enjoy the couple of bottles they give us...olive oil pairs well with wine. There was a high wind advisory for the entire San Francisco Bay Area today. They weren't kidding. Our power went out, and was out for 14 hours plus. Soup for lunch, hot dogs for dinner, and water for cups of tea were all heated on top of our wood burning stove...which we wouldn't have lit otherwise because it was unseasonably warm outside. Driving into town was a little hair raising with large branches and debris being flung from every direction at the car. We lost two trees in Vinoland, which had Vinomaker rubbing his hands together with glee at the prospect of being able to get out his chainsaws tomorrow. I noticed this fence and it's covering of crispy grape leaves, on a vineyard in downtown Napa. 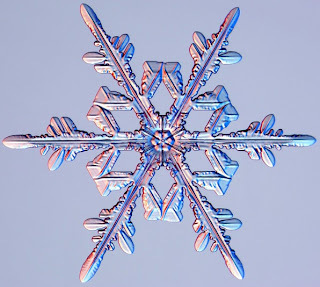 I thought it made quite a nice little pattern on the wire...isn't Mother Nature great? Happy Thanksgiving to all who are thankful for something in their life. What do you do on a rainy November day in Napa? You go and do some early Christmas shopping, of course. There is a gift faire being held at the Napa Fairgrounds this weekend and although I don't normally have the inclination to attend such things, I kept a possible visit in the back of my mind as I thought my mother may enjoy it. I had to go over to Napa Fermentation Supplies to buy some drilled barrel bungs, and seeing as the faire was being held right next door, my mother and I did indeed decide to stop in and see what was for sale. I really did not expect much, and to be quite honest there was a lot of dust-collecting nonsense being offered, but one particular stall caught my eye. Some enterprising young woman had come up with the idea of making jewellery, wind chimes, money-clips, candle holders etc. from old silverware. I had to take a second look because it was not immediately apparent that the goods she was tendering for sale were made out of old, unwanted silver utensils. Very clever indeed. On a nice display rack, about 100 bracelets sparkled and beckoned to me to come and take a peek. My mother slyly asked me which one I liked and I immediately zeroed in on the only one that happened to have grapes on it, and which in a former life had been the handles of two old spoons . The bracelet is now mine. Thanks mum! Autumn is indeed settling in and the few deciduous trees we have around Napa are showing off brilliant hues of yellow, orange, and red. One star performer in this category that often fails to get attention is Vitis californica, the native California wild grape. This deciduous vine is not shy and is very conspicuous, this time of year, in it's encroachment upon other vegetation. In riparian woodlands, stream-banks, and swales you can spot this wild vine scrambling up the trees and shrubs that are capable of supporting it's vertical growth habit of up to 40 feet. V. californica is important to wildlife as it's vegetation provides shelter and it's grapes, which ripen quite late, provide autumn and winter food for Napa's resident critters and our winter visitors. The native vine has been employed in California since long before the first Spanish Padres planted their mission vineyards. Indigenous people cultivated and ate the grapes and leaves, used dried vines to weave baskets, and made tinctures to be used as mouthwashes and as a treatment for diarrhea. Lovely! Apparently, jam can be also made from it's grapes. I have never personally seen a cluster of V. californica grapes. I've only glimpsed these vines from afar, usually out of my car window, and have never really felt a pressing need to clamber through a thicket, and risk getting a bad case of poison oak in the process, just for a quick look-see. There are plenty of cultivated grape varietals here in Vinoland to satiate any desire I may have to get up close and personal with a berry. Besides, who am I kidding, I much prefer having Thud and Prince Charles take care of all my jammy aspirations. With the first frost for Napa forecast for tomorrow, I decided to take one last pass through my vegetable patch. The tomato plants are still flowering so consequently they have fruit at every stage of development, partucularly the Roma tomatoes, so it looks like another pasta dish is on the menu for this week. The basil is still faring well, so a homemade tomato sauce is sounding better by the minute. I managed to scavenge a small courgette that was obscured amongst a few zeppelins I had neglected to harvest in the past month or so. It was swiftly incorporated into a modified fried rice dish I have been making since I was a teenager. Paired with one of my favourite Napa Sauvignon blancs it was a fitting conclusion to the summer vegetable season. With the recent end of Daylight Saving Time (a week behind the end of British Summer Time), it is now dark when I get home from the winery. Whether it is light or dark when I drive in through the gate, the Vinodogs are always barking and yipping in welcome, but more likely in anticipation of being fed. Tonight I was greeted by a plump, rather happy looking toad that sat in the middle of the path and was quite unperturbed when I bent down and got up close and personal with him. The western toad (Bufo boreas) was also quite happy to wait while I ran into the house and grabbed my camera for a photo op. The Vinodogs were sequestered on the deck so Mr. Toad was quite safe from becoming their dinner...but I did wonder what wine would pair well with Toad-in-the-Hole. 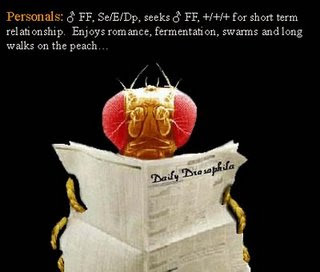 The common fruit fly (Drosophila melanogaster), is running amock at the winery right now. With a rather large amount of Cabernet sauvignon fermentations all going at once, these annoying little diptera have come out of the woodwork, en masse. This is the same fly, with it's rather short, annoying little life-cycle that is used as a model organism in biology; including the study of genetics because it is easy to take care of, reproduces quickly, and lays tons of eggs. They are apparently very useful: Sister-in-law OTW assures me that they came in very handy when she was reading for her B.Sc at the University of Liverpool. That just may well be the case but I just can't handle them getting biblical on the rim of my glass when I am barrel sampling wine with some visiting dignitary. Other than using DDT to rid yourself of these bothersome little devils, a relatively easy solution is to leave 'fruit fly traps' lying around, not foolproof but they help. Take a plastic drinking cup filled halfway with preferably still fermenting wine, cover the top with cling wrap, make an opening just big enough for them to crawl in and feed, but not large enough for them to get back out, and bingo! Darwin must have been on to something. It's Saturday night and the task at hand for all in Vinoland is to drink some good wine and enjoy a slightly delayed celebration of Bonfire night. We started the festivities quite early. Vinomaker, Thud and I quickly polished off a bottle of Laurent-Perrier Cuvée Rosé Brut before moving on to Vinomaker's finest '04 Cabernet franc, (a wine not suitable for women and children, except me of course.) But not before Thud had worked his magic with a can of treacle, butter, brown-sugar, water and lemon juice. This little tradition of whipping up a batch of homemade toffee for 'Bommy Night' is something Thud started when we were quite young children. The resulting treacle toffee was quickly dispatched whilst sitting around a fire pit, complete with a spark screen. Pathetic, I know, but this is tinder-box dry California after all. I received my first Christmas gift today. I know, Halloween was a mere 3 days ago, Bonfire Night is still 2 days hence, and Thanksgiving (if you happen to be an English person who cares about that particular holiday), is yet more than 3 weeks away. But Christmas is looming large already; on telly commercials, in the shops and apparently, on the mind of my own personal Santa! An extremely generous co-worker left a rather large, gift-wrapped package for me at the winery, with the instruction to open it and enjoy it with my family before Christmas, if I wished. So open it I did, but only after I nearly threw my back out picking it up! What was it? Oh, just a 6 litre bottle of 1998 La Vita Lucente. This Sangiovese/Merlot blend from Tuscany was the brainchild of Florence’s Lamberto Frescobaldi and Napa Valley’s Robert Mondavi when they united their efforts in 1995 to create a world class Italian wine. I happen to love Italian wines, so this is going to be interesting...I just need to quickly organise a party to aid in the polishing off of what is the equivalent of eight bottles of wine. Any volunteers? Shedding some light on night harvesting. Whilst walking the Vinodogs this evening after work, I noticed that the folks at Far Niente had decided to night harvest their Chardonnay vineyard that's closest to Vinoland. So, before I ran off to my evening class at NVC, I stopped to take a photograph of the preparations, portable lights in place and half ton picking bins just out of the shot. Night harvesting can simply be a logistical issue, but mainly it ensures that the fruit arrives at the winery at the coolest possible temperature for processing, thus maintaining varietal characteristics and requiring less time and energy to chill the juice in the tank. How did you spend your Sunday? Mine was spent field-budding root stocks over to Cabernet sauvignon, Pinot gris and Syrah. Unfortunately, there are unexpected casualties each year in a vineyard. Last year it was seemingly the mission of Vinodog 2 to prematurely dispatch a few plants to vine-heaven and it was primarily these that I was grafting today. However, there were also some gopher casualties and a couple of deaths from unknown causes. The photograph on my post about field-budding last year (Sept. 20th), showed the taped up graft. This year I decided to show the graft, sans grafting tape. You can see that the bud is a pretty close fit on the trunk of the rootstock. This is very important as the cambiums of the donor and host should match perfectly to ensure that the non-specific cells in the vines will ultimately become cambium cells, and that the trunk will accept the chip bud. I won't know if the grafts were successful until next April or so. My knees ached a little bit from all the getting up and down, but all the aches were forgotten after a cold Sierra Nevada Torpedo Extra IPA. I fared better than poor Ron Combo, who from now on will be buying wine it seems, rather than helping with its production. What's Lincoln doing in the drink? One of the main reasons for Vinomaker wanting to make Chenin blanc this year was a challenge from a fellow winemaker to participate in a 2009 'ferment-off'. This winemaker had given us a bottle of his 2008 Chenin blanc to drink and also the contact information for the grower. We chilled the wine down. It seemed nice at first, well balanced acid, nice fruity esters and then, as it warmed up, bam! Cabbage! My tasting descriptors tend to be of the first thing that comes to my mind and this time, like one of the veggies in a good Sunday roast, cabbage it was. Vinomaker got more bad eggs than cabbage, so he initially identified the problem as H2S, or more seriously methyl mercaptan. H2S produces smelly, odoriferous sulphur compounds that may have developed in the wine because of poor fermentation practices. Time for the old copper penny routine. A United States one cent piece, pre-1982, is 95% copper...drop one into a stinky wine and The Great Emancipator frees the bonds of sulphurous servitude and undesirable compounds. The metal in the coin reacts with the H2S in the wine, converting it into insoluble copper sulphide. It is rather rapid chemistry and what it usually means is that the previously stinky wine is now drinkable. However, that was not the end of this little malodorous matter, the wine had actually moved beyond that and the problem was one of the compound methyl mercaptan. Vinomaker, where are you? The caterpillar chooses the fairest leaves. Speaking of photosynthesis...there won't be much of it happening in my vegetable patch if the attack of the killer Tobacco Hornworm (Manduca sexta) isn't thwarted in some way. I have had a spectacular crop of fruit this year from many different varieties of tomatoes including heirloom and plum tomatoes. This not so little hornworm has contrived to make my 'Early Girl' tomato vine it's home and dining room. The cheek of it! I first became aware of it's presence when I spotted a bumper crop of caterpillar turds in my veggie patch, directly below where I espied it nonchalantly chomping away on the tomato plants foliage. Charming! Tobacco hornworm indeed, even it's name is disgusting. The hornworm is now languishing in a large specimen jar, (albeit with a supply of more tomato leaves for sustenance.) Let's see if it can chomp its way out of that little pickle. C6H12O6 is the simple fructose molecule. Adenosine triphosphate (ATP), transports chemical energy derived from photosynthesis within the cells of grape leaves and converts it into sugar. Today, we tested the sugar in our Syrah grapes for the first time this year. Using a hand-held optical instrument called a refractometer that measures the percentage of soluble solids in plant juice, we measured the grape sugar content in a random sample taken out in the vineyard. We got a reading of 21.8 °Brix. °Brix (°B) is a scale that is used to measure the percentage of sugar in grape juice. Many growers still rely on sugar readings to decide when their grapes are ripe. However, sugar readings are only one indicator of grape maturity. There are other qualitative and quantitative evaluations that can best predict the optimal time of harvest. Amongst these are; the softening of the berries, the detachment of skin from pulp, brown seeds and stems, the analysis of pH and titratable acidity (TA). Oh, and taste. Under-ripe, herbaceous flavours are personae non grata in Vinoland, but a °B reading of 24.5 or better is always welcome. C6H12O6, the inclusion of which in grape juice makes a finished wine so appealing...and the exclusion of which in diet drinks makes Diet Coca-Cola so unappealing. Yesterday a crew of Far Niente workers passed through their Chardonnay vineyard, located near Vinoland, clearing the basal leaves from the vertical fruit-bearing shoots. This particular vineyard operation exposes the fruit so that it is easier to remove from the vine. More and more wineries are experimenting with night harvesting these days, the fruit is still cool when it arrives at the winery for processing and the vineyard workers don't get so fatigued in the heat of the day. I half expect that when I take the Vinodogs for a stroll tomorrow the vines will be naked. I have no idea what clone this Chardonnay is, I am only familiar with clones 4 and 76, but I would hazard a guess at this being clone 76 because of the smallness of the clusters...but I can stand to be corrected. Whatever clone it is I am positive that the folks at Far Niente are very pleased with the crop this year as it looks superb and plentiful compared with the frost troubled crop of 2008. Hats off to their vineyard manager. Harvest has begun in Vinoland. Earlier today Vinomaker and I picked our little crop of Pinot gris and Orange muscat, but that was after a brief road trip. Vinomaker, always anxious to try something new, had contracted to buy some Chenin blanc grapes and so at the crack of dawn we headed off into the Sacramento-San Joaquin River Delta to collect our fruit. An extensive system of earthen levees, creating low lying tracts and islands separated by sloughs, have enabled wide-spread farming throughout the delta. Its peat soil makes it perhaps one of the most fertile agricultural areas in California, contributing billions of dollars to the states economy: That includes our donation of $1200 a ton for the Chenin blanc. We passed by expansive fields of tomatoes, sprawling pear orchards, swaths of golden feed corn, and vast sea-like plantings of alfalfa replete with marauding, rapacious great blue herons. Evidently everybody else in the delta was harvesting that morning too, and not just grapes. We were at one point delayed behind a couple of giant, dual-gondola trucks brimming over with tomatoes and cucumbers, which resembled a colossal mobile Greek salad (albeit sans feta.) At least it did to Vinogirl, who like the herons, had began to work up an appetite. Returning to Vinoland there was just enough time for a quick cup of Earl Grey and a handful of Cadbury's Chocolate Animals before Vinomaker cracked the whip and the processing of the grapes began. Someone should remind Mother Nature that it is September in California! Summer rain? Whoever heard of such a thing? I shouldn't complain, it hasn't rained since the beginning of May, but the Vinodogs are bored and I had vineyard activities planned for today. Ho hum. It's not all bad; it smells great outside, the thunder and lightning accompanied breakfast was fun, and the grapevines have had a quick shower and photosynthesis may be aided and abetted by the nice clean leaves. Now where did I leave my wellies four months ago? For those of you who had a leisurely, unofficial last day of summer, I hope you enjoyed it. I laboured all day at the winery...but that's OK, I had fun and I got paid! 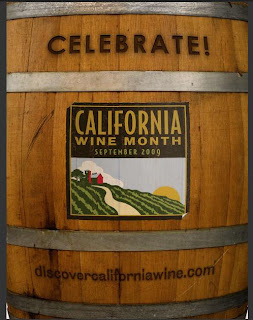 I just wanted to remind everyone that September is California Wine Month. Arnie wants you to get out there and support the Californian wine industry. C'mon folks...go forth, partake of the Golden States' wines and keep Vinogirl in gainful employment. It is one year today since I started blogging. The photograph on my first blog was a close up of yeast cells. Fascinating stuff eh? Well, yes it is and it just so happens that Vinomaker got a delivery of an exciting selection of oenological yeasts yesterday from the kind people at Scott Laboratories. Vinomaker likes to make a variety of wines; Cabernet sauvignon, Viognier, Cabernet franc etc. Every harvest the fruit arrives and many decisions must be made, yeast selection is perhaps one of the most important. The Rhone 4600 in the left of the photograph is the yeast that he will be using to produce a Marsanne for 2009. However, the yeast he is most excited about is the RP15, second from the right, which he will use to ferment the Syrah grapes grown by yours truly. This is a newly available yeast isolated from spontaneous fermentations by Jeff Cohn of JC Cellars. RP15 has low to moderate nitrogen demand, is alcohol tolerant up to 17%, and will show "bright cherry components, dark colour and sweet tannins"...everything you want in a yummy Syrah. I can't wait. I just want to say a quick thank you to those who regularly comment on Vinsanity. It is always a pleasure to read your comments and I am very appreciative of your input. Vinomaker, our friend Sky King, and I decided to have an impromptu rosé tasting tonight. It is a testament to living in one of the better known wine regions of the world that such a tasting can be pulled together with just a moments notice. There are not many places on the planet that you could do such a thing, but thankfully there is a large assortment of varietals available to the oenophile here in Napa. The selection of wines was quite diverse; two French, one Spanish, one from Oakville, and the last from a vineyard just a stones throw from where we were sitting. It was a very interesting tasting. I have always loved rosés, ever since I was a teenager, and have never quite understood why they haven't been more popular, until recently that is...now they are quite trendy. My favourite was the French one in the front of the photograph. It was quite a mongrel really, in view of it being a blend of 6 different varietals. I suppose just like my choice in poochies, a blend can be best in show.